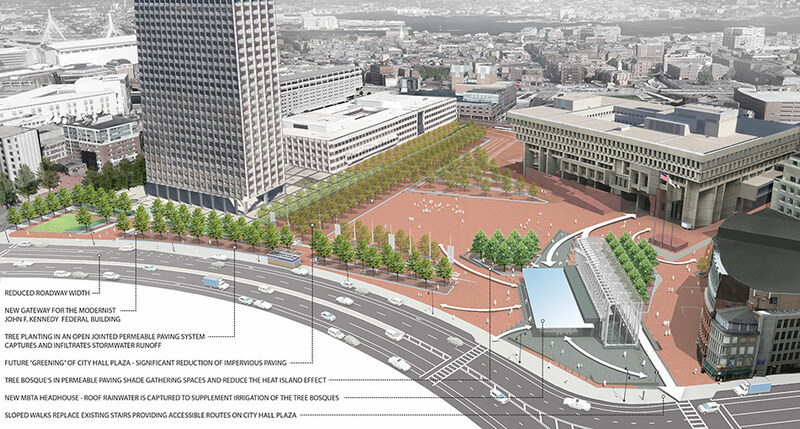 If you’ve been to Boston I’m sure you know of the Government Center Plaza and probably have an opinion of it. For most it’s not a favorable one for the either building or plaza. 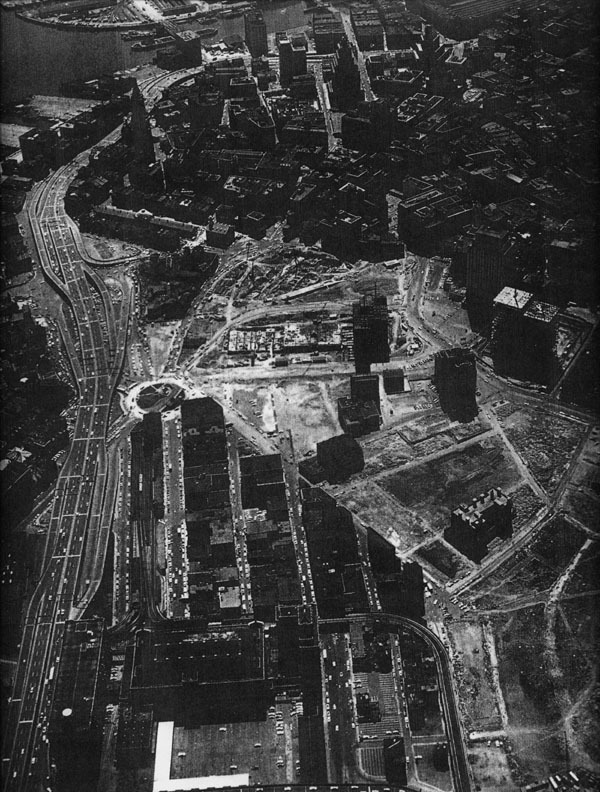 If your an architect or urban planners you definitely know how downtown Boston was clear cut to make way for it. And now, it’s looking more and more like it will be protected as a historic relic of an era of dysfunctional urban planning. Currently there is something being done to correct some of the ills of the plaza. 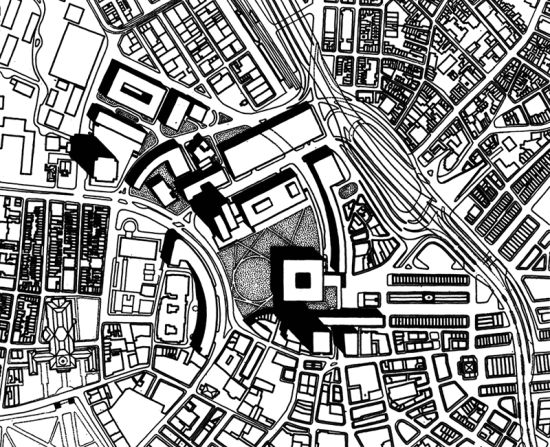 Is it enough to make it a successful urban place? Things take a long time in Boston. It’s a town of a lot of talk and contemplated action. So, after 50 years of talk, the planned renovation seems a bit tame. Last months Architect’s Newspaper article reveals the design currently under construction. The project will take 2 years to complete and is being done in tandem with the Government Center T station renovation. The project is being done by the MBTA and the plaza work is really a scope extension of the station work, so I realize the possibilities are limited. Looking at the design honestly though, it’s hard to get excited about it. Really these are just modifications to enhance and update the original design rather rethinking and correcting it’s urban problems. One thing explained in the article that did surprise me about the original design was that it was modeled after the Campo in Sienna. I just don’t see this. One of the major characteristics of the Campo is it’s sloped design. People inhabit it anywhere as if they were sitting on a beach. I couldn’t imagine just sitting out in the middle of GC Plaza. I did find it a bit sad that one of the original landscape designs from 1961 lost out to the Campo inspired one we’ve endured for the last 50 years. This design is illustrated in a letter to the editor from Henry Cobb in response to the AN article. As explained in the letter, the idea of the plaza being the last green space of the emerald necklace and the ultimate New England town green for Boston is a real beautiful one. It’s too bad it never was realized.